The four key types of customer data for marketing or… how valuable is knowing my customers pet’s name? In today’s world of ever increasing data availability, volume and variety the challenge to know which data is valuable to you is a key step in starting to build a marketing solution. 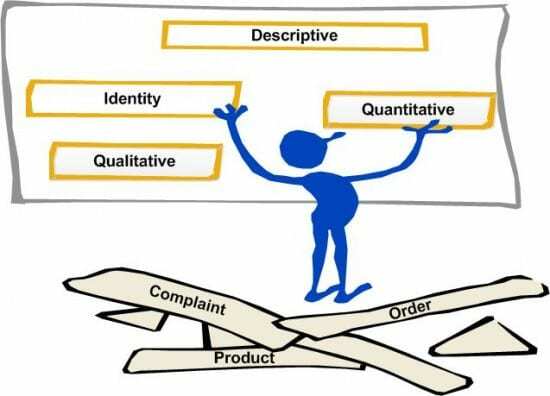 An often cited response is that ‘all data is important’ and this may be true, but to help decide which elements are critical in the initial stages of building your solution a method to identify at the value of each type of data is key. In this post I will look at how to audit customer data based on its type and value. The examples will show why it's important to be selective when reviewing customer data in CRM and Email marketing. Pet’s Name – Pet Supplies Retailer. Favourite Colour – Retail, particularly clothing. Number of Car Doors – Motor Insurance industry. Name Information – Title, First Name (Forename), Last Name (Surname), Designatory letters, etc. Person Information – Date of Birth, Gender, etc. Postal Address Information – Building Number, Building Name, Address Lines, Town, County, Postal/Zip Code, Country, etc. Telephone Information – Home Telephone No., Work Telephone No., Mobile No., etc. Email Address Information – Personal Email Address, Work Email Address, etc. Social Network Information – Facebook Identifier, Twitter Address, Linkedin identifier, etc. Account Information – Details of your customer’s account ids or user ids. Job Information – Company Name, Department Name, Job Title, etc. Permission and Suppression Data – Not distinctly an identity element of data, but equally important is the information concerning permission to communicate and reason for not communicating (suppressions). Transactional Information (Online and Offline) – Number of products purchased, actual products purchased, Order/Subscription Value, Order/Renewal dates, product abandonments (abandoned baskets), Product Returns, etc. Online Activity – Website visits, product views, online registrations, etc. Social Network Activity – Facebook likes, Twitter interactions, etc. Family Details – Marital status, number of children, age of children, etc. Lifestyle Details – Property type, car type, number of car doors, pet ownership, etc. Career Details – Profession, Education level, etc. Attitudinal information – How do you rate our customer service, how do you rate the value of the product, how likely are you to purchase our product again, etc? Opinion – What is your favourite colour, where is your favourite holiday destination, etc. Motivational – Why was the product purchased (personal use, gift for someone, etc), what was the key reason for purchasing our product (locality, price, quality), etc. Using this simple classification process and relating them to your core business goals, will enable a quick identification of which data provides the information critical to the core success of your business. This can then be used to plan the appropriate delivery phases, with clear understanding of the value achieved from each data item included, enabling you to answer the question ‘How valuable is knowing my customer’s pet name?’ to your business. Jim Roberts is the founder of the consultancy BlacklerRoberts Ltd and is an experienced marketing professional with over 18 years experience in the Direct Marketing arena across multiple industry sectors, including Financial, Leisure, Retail, and Charity. His passion is the delivery of value from data, using the customer and related information to deliver actionable insight driving improved customer value and understanding. You can follow him on Twitter or connect on LinkedIn.